Good workout this morning with my heavy block pull workout. 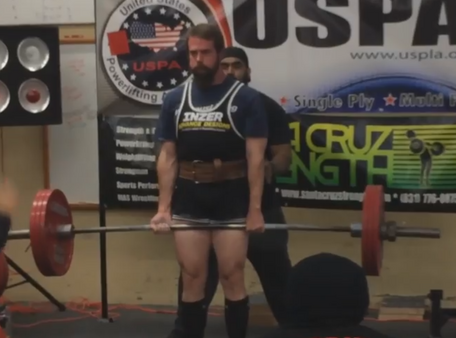 I was planning to work up to a couple of sets of singles at 455 and possibly a single at 475. Everything from 315 on felt heavy though and I wound up failing my first set at 455. At this point, I rested for a few minutes, got my mind right and then did a successful single at 455...it was a grinder but went up. Then I dropped back to 405 for a double and then called it a day for pulling and moved on to my accessories.